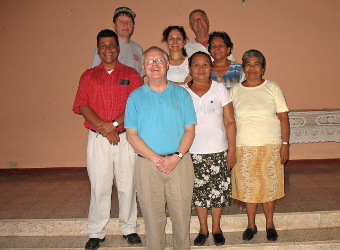 In 2005, several parishioners from St. John Vianney Catholic Church in Prince Frederick, Maryland donated funds to an ecumenical church group in Baltimore, Maryland to assist people in the San Juan de Limay region of Nicaragua. 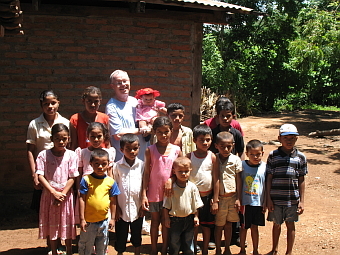 The Baltimore church group's efforts in Nicaragua included building basic brick houses. We asked the Baltimore group to direct our donations towards building houses. Our donations built a dozen houses over the course of three years. When we sent a representative from our parish down to San Juan de Limay, Nicaragua to review the program, we realized that our donations were the only ones going towards houses. Our representative found that their was a desperate need for basic houses in this area. Families were living in shelters made of sticks and plastic bags tied together with twine. We were able to establish a strong working relationship with the pastor of the local Catholic Church, Father Francisco Bayardo. When we expressed interest in our working directly with him, he, in turn, formed a volunteer committee of local parishioners who were dedicated to overseeing the housing program. Following this visit, our Nicaragua Housing Program formally began. In order to maintain a close working relationship with the volunteer housing committee in San Juan de Limay, we take two mission trips to Nicaragua each year. We meet with the local committee to discuss any concerns and we visit housing recipients and their families at their new houses. We also visit some of the families on the waiting list at the sites of their existing homes. It is important to note that all administrative, mission travel and other expenses are provided by personal funds, usually from the volunteers traveling on the mission trip. Thus, all monies donated for houses go to building the houses.